My step grandfather George William Symes was born 12 January 1896 at Minterne Magna, Dorset. He was the son of George Symes (1859 – 1920) and Eliza Symes nee Paulley (1870 – 1946). George Symes senior was born in 1859 at Puncknowle Dorset, 6 miles east of Bridport. 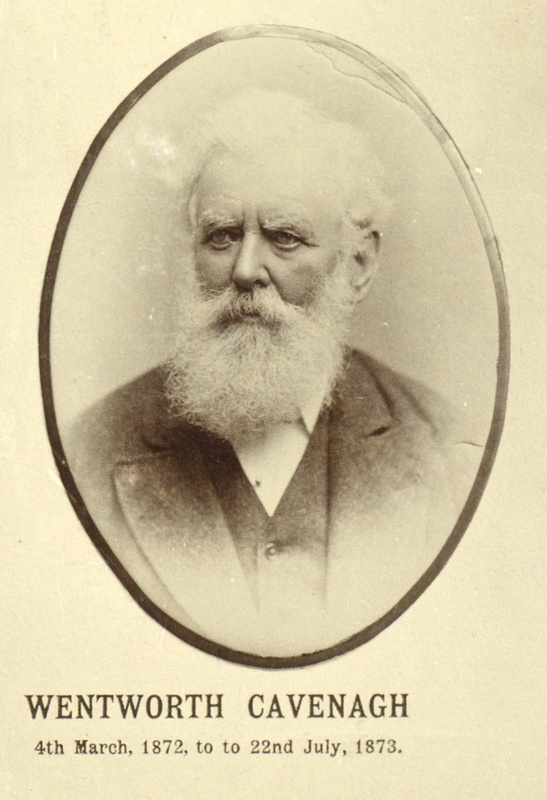 He was the oldest child of Daniel Symes (1834 – 1914), an agricultural labourer, and Sarah Symes nee Trevett (1836 – 1925). On 2 October 1878, aged 19, George Symes, then a labourer, enlisted in the Royal Artillery. He signed his attestation papers at Bridport on 2 October and joined at Portsmouth on 14 October. He first served as a gunner, was promoted to bombadier (equivalent rank of corporal) in 1884, and then to sergeant later that same year. He was promoted to Company Sergeant Major in 1892 and discharged at that rank in 1899. He served in India from 1884 to 1892, retiring in 1899 on a pension of 30 pence for life. He was formally discharged at the Tower of London, and became a Chelsea Pensioner (he would have been an out-pensioner as he did not live at the Royal Hospital Chelsea). His character on discharge was “exemplary”. George first married Rosa or Rose Guppy (1860 – 1892) at Milborne Port, Somerset, in 1886. They had two children: William Hensley Symes (1887 – 1888) and Edward Daniel Symes (1890 – 1950). William was born 27 November 1887 and baptised 1 January 1888 at Milborne Port Somerset. He died, only four months old, at Agra, India on 1 April 1888 and was buried there on 2 April. Edward was born in 1890 at Campbellpore, present day Attock, Pakistan. 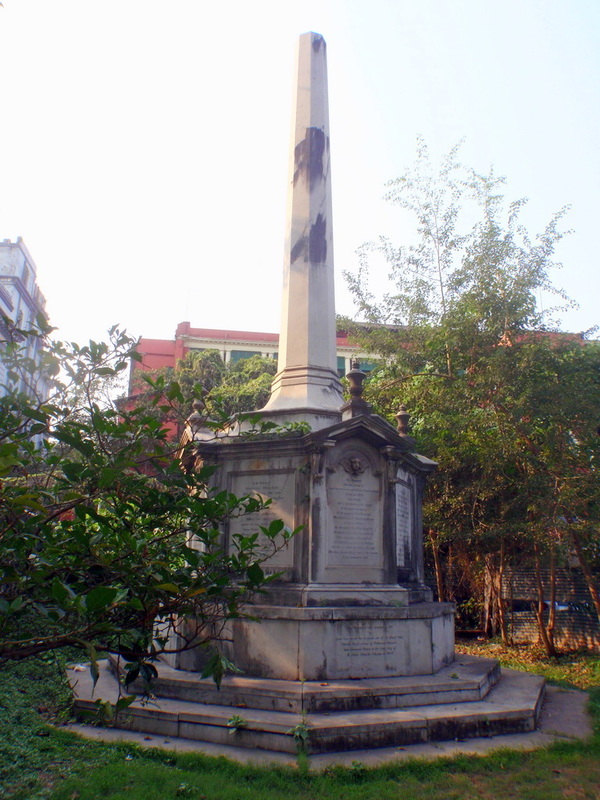 Rose died of cholera in 1892 at Ferozepore. In 1894 George married again, to Eliza Paulley (1870 – 1946) at Minterne Magna, Dorset. They had one son, George William Symes, born 12 January 1896 at Minterne Magna. At the time of the 1901 census the family was at Puncknowle. George Symes was 42, with occupation of ‘military pensioner’. His wife Eliza was 31 and they had two sons, Edward aged 11 and George aged 5. In 1911, George Symes, a ‘military pensioner and publican’ was living at 61 South Street Bridport. In the same house were his sons Edward aged 21, a cabinet maker, George aged 15, at school. Also living at that address was George’s brother-in-law, Lewis Paulley, age 25, a harness-maker. On census night Eliza was away, with her parents in Minterne Magna. 61 South Street was the pub. The 1911 census states it had 9 rooms, not including the shop, office, warehouse or bathrooms. George Symes died at Weymouth, Dorset, 18 May 1920. The building at 61 South Street Bridport is still there and still operates as a pub; it is now called The Woodman Inn. 1901: Class: RG13; Piece: 2012; Folio: 75; Page: 10. Captain John Orfeur was the father of Catherine Hyde Orfeur (1738-1814) who married Matthew Cavenagh (1740-1819) in about 1769. Catherine and Matthew Cavenagh had fifteen children. Their fourth child was named Mary Orfeur Cavenagh (1779-1823). Their tenth child was Orfeur John Howard Cavenagh who died sometime before his father’s death in 1819. James Gordon Cavenagh (1770-1844), the oldest child of Matthew and Catherine, had seven children. His fourth child was named Orfeur Cavenagh (1820-1891). Orfeur Cavenagh had two sons, the elder was named Orfeur James Cavenagh (1849-1931). He in turn had a son named Orfeur. My great great grandfather Wentworth Cavenagh-Mainwaring named one of his sons Orfeur. I have a second cousin once removed with the middle name Orfeur. Passed the examination at Addiscombe on the 12th June 1837 and early in 1838 joined the 32nd Regt. N.I. In 1840 passed the prescribed examination at the College of Fort William. Appointed as Interpreter and Quartermaster to the 41st Regt. N.I. Attached to the Force employed in watching the Nepaul frontier 1840/41. In 1842 appointed as Adjutant to the 2nd Regt. Irregular Cavalry employed against the insurgents in the Saugor and Nerbuddah Territories. Susequently transferred to the 4th Regt. Irregular Cavalry. In 1843 engaged at the Battle of Maharajpore. Left leg carried away by a round shot, and otherwise severely injured by his charger, which was killed, falling on him. For upwards of a year compelled to use crutches. Continued however to perform all his duties even those of parade, being placed upon his horse and taken off again by his orderlies. During this period compiled the Abstract of General Orders, for a long while the standing book of reference for the Army, the profits of the compilation made over to the Lawrence Asylum. Appointed 2nd in command of the 4th Regt. Irregular Cavalry, and, for a short time officiated as Pension Paymaster at Meerut. In 1845-46 employed with the Army of the Sutledge, and, at the relief of Loodianah by the Division under Sir Harry Smith again severely wounded losing the partial use of his left arm. Whilst still on the Sick List and unable to sit on his horse without being held, at the particular request of the late Sir Hugh Wheeler, took charge of the whole of the native sick and wounded, many of whom were in great distress, owing to the want of proper food and clothing. Drew and issued the requisite advances, visited the hospitals and personally conducted the accounts of several hundred of men of various corps. Appointed Superintendent of the Mysore Princes and subsequently of the Ex-Ameers of Scinde [Sindh] and Seikh Sirdars, as well as of the Ex-Governor of Kerman, the Persian nobleman, Agha Khan Mehlatee. In 1850 selected for the political charge of the Nepaulese Embassy. On his return from England accompanied it to Kathmandoo, and afterwards prepared a report on the State of Nepal. Received the thanks of the late Court of Directors and of the Supreme Government. For many years a Director of the military and Orphans Funds. Compiled and edited the Bengal Army List, containing the services and dates of commissions of every officer — the profits of this work made over to the Orphan Society. In 1854, at the special request of the then Governor General Lord Dalhousie, accepted the appointment on his staff of Town Major of Fort William [the fort in Calcutta]. In this capacity as the Governor General’s representative, recommended the numerous alterations in the European Barracks and other buildings as well as general sanitary improvements, which have led to the ordinarily satisfactory state of health of the Garrison. On the 26th January, 1857, frustrated the design of the Mutineers to seize Fort William (vide statement of Jemadar Durrion Sing, 34th Regiment, N.I.). Throughout the Mutiny discharged all the arduous duties connected with the command of Fort William and Calcutta, including the charge of the state prisoners, the raising a Corps of Volunteers, the organisation of a body of Native Servants for the use of the troops arriving from England, the management of a large Military Canteen, the protection of the town, the control of all Public Departments, Military Buildings, Hospitals, etc., and the entire charge (arming, clothing and victualling) of all European invalids and recruits, numbering several thousands, of the company’s service. On four occasions received the thanks and commendation of the Supreme Government. At the close of the mutiny, appointed Governor of the Straits Settlements. 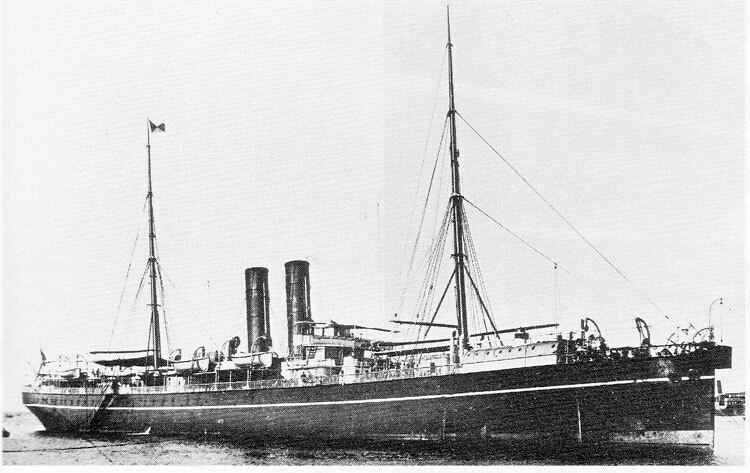 In addition to the ordinary duties connected with the Government, specified in the report forwarded to the India Office, obtained from the Sultan of Acheen an apology for the insult offered to the Governor General’s Envoy, Major Haughton; prepared a special report upon the resources of the State of Sarawak and carried out the secret instructions for preventing the exportation of arms and ammunition to Japan and the North of China. For the efficient performance of these duties received the thanks of the Secretary of State and the Governor General of India. Received through the Secretary of State, the thanks on two occasions of the Emperor of France for assistance rendered to French vessels, and also the thanks of the Secretary of State for the Colonies for the valuable aid afforded in effecting the transfer of the Straits Settlement. Cavenagh, who, as Town-Major, was responsible to the Governor-General for the safety of Fort William, took at once measures to baffle the designs of which he had been informed, and then drove straight to Lord Canning to report the circumstance to him. Lord Canning listened to Cavenagh with the deepest interest, and sanctioned the measures he proposed. These were to transfer from Dam-Dam, where one wing of the regiment which was responsible for the safety of the Presidency, the 53rd Foot, was located, one company to Fort William. For the moment the outbreak was deferred. In recognition of his services during the Indian Mutiny Orfeur Cavenagh was offered the post of Governor of the Straits Settlements (Singapore, Malaya and Penang): he governed there from 1859 to 1867. Cavenagh Bridge in Singapore is named in his honour. In 1881 Orfeur Cavenagh was appointed KCSI, Knight-Commander of the Order of the Star of India. On 3 July 1891 Sir Orfeur Cavenagh died in Surrey, England, aged 70. Col. W. O. Cavenagh who provided information to Charles Dalton was Wentworth Odiarne Cavenagh 1856-1935,the son of Orfeur Cavenagh 1820-1891 and my first cousin three times removed. He undertook considerable research on the Cavenagh family history. I am grateful to my cousin Diana Beckett for the pictures in this post. Sir Orfeur Cavenagh published his reminiscenses in 1884: Sir Orfeur Cavenagh (1884). Reminiscences of an Indian Official. Allen. Malleson, CSI, Colonel G. B. (1891). “Chapter III: The first mutterings of the storm”. The Indian Mutiny of 1857. London: Seely and Co Ltd (republished on the web by the HyperWar Foundation). pp. 34, 36. Entry for Orfeur Cavenagh in Dictionary of Indian Biography. Ardent Media. p. 76. On 20 June 1756 Patrick Johnston(e) (1737-1756), my 7th great uncle, died in the prison of the Nawab Siraj-ud-daulah, later known as the “Black Hole of Calcutta” in India. Three years previously, at the age of sixteen, Patrick had joined the East India Company as an accountant. He was eighteen when he died. Patrick’s name is listed on a memorial to victims. One of the prisoners, J. Z. Holwell, wrote an account of the incident. He reported that 146 were imprisoned and in a room only 4.30m. x 5.50 m (14 feet x 18 feet) 123 died overnight from overcrowding. It is suggested that Howell exaggerated these numbers and that probably only 69 men were imprisoned. Howell listed P. [Patrick] Johnston in his account. Patrick was the thirteenth of the fourteen children of Sir James Johnston. In 1753 Patrick Johnstone petitioned to be admitted as a writer, that is, a junior clerk, in the East India Company and on 31 October 1753 he was approved as a writer for Bengal. In his petition to join the company Patrick stated that he had been “educated in writing and Accompts,” and he presented a certificate showing he had undergone “a complete course of Mathematick and Book keeping” with a teacher in Edinburgh. Also at the age of sixteen, Patrick’s older brother John (1734-1795) had been admitted as a writer in 1750. Two of John’s maternal uncles gave their security for his appointment. John’s teacher in Edinburgh certified his capacity to be able to discharge his duties as a clerk. John arrived in India in 1751. Patrick’s appointment in 1753 was on the security of two London merchants: Peter Linehup of St George’s Hanover Square and Alexander Grant of London, Merchant. Lord Elibank, the brothers’ maternal uncle, seems to have declined to provide security for Patrick. Lord Elibank had previously provided security for Patrick’s older brother John. From 1741–1846 the East India Company required a bond for faithful service. Becoming a Writer was the passport to great riches but riches were not always acquired without dubious dealing and corruption. A young man who survived ten years, exiled in a trying and dangerous climate, expected to go home rich and the East India Company allowed leeway for creative personal trading as long as its own profits were not affected. When the fighting began in 1756 in the so-called ‘Carnatic Wars’, a three-way conflict between the local rulers of the Moghul Empire and the French and British East India Companies, John and Patrick were captured. Patrick was imprisoned and died. John, however, was in Dhaka in East Bengal, and was released into the custody of the French. John later fought in the 1757 battle of Plassey in which the British East India Company under Robert Clive defeated the Nawab of Bengal. Rothschild, Emma The inner life of empires : an eighteenth-century history. Princeton University Press, Princeton, N.J. ; Woodstock, 2011. Eyre Nicholas Champion de Crespigny was born on 7 May 1821 at Vevey, near Montreaux, Switzerland, the son of the Reverend Heaton Champion de Crespigny (1796-1858) and Caroline née Bathurst (1797-1861). He was my third cousin four times removed. In 1834 Eyre was at school at Segrave House, Cheltenham. There he received a book prize for 2nd class, Classical. (Leamington Spa Courier 28 June 1834, page 3 retrieved from the British Newspaper Archive) On 2 March 1835 Eyre, aged 13, son of Heaton de Crespigny, clergyman, 27, Queen Street, Grosvenor Square, was admitted to St Paul’s School, London. In the late 1830s Caroline left Heaton and moved with her children, including Eyre, to Heidelberg in Germany. In 1842 at the age of 21 Eyre graduated from the Heidelberg University with a medical degree. After receiving his diploma he returned to England, and went through Bartholomew’s and Guy’s Hospitals. In 1845 he received an Indian appointment, and arrived in Bombay in September of that year. During his residence in India he was employed in the performance of various military, naval, and civil medical duties. In 1859 Dr. de Crespigny became Acting Conservator of Forests and Superintendent of the Government Botanical Gardens at Dapsorie, near Poonah ; but failing health compelled his return to England in 1862. During his residence in India he made a small but interesting collection of coloured drawings of plants, which were acquired for the Botanical Department of the British Museum. I am not quite sure where the Government Botanical Gardens at Dapsorie near Poonah, now spelled ‘Pune’, are. The Empress Gardens at Pune, founded in 1830 and acquired by the British Government in 1838, are near the race course. Perhaps it was these gardens that Eyre was responsible for. However, I think Dapsorie is a mis-transcription and the gardens were most likely at Dapuri which is 370 kilometres north of Pune. 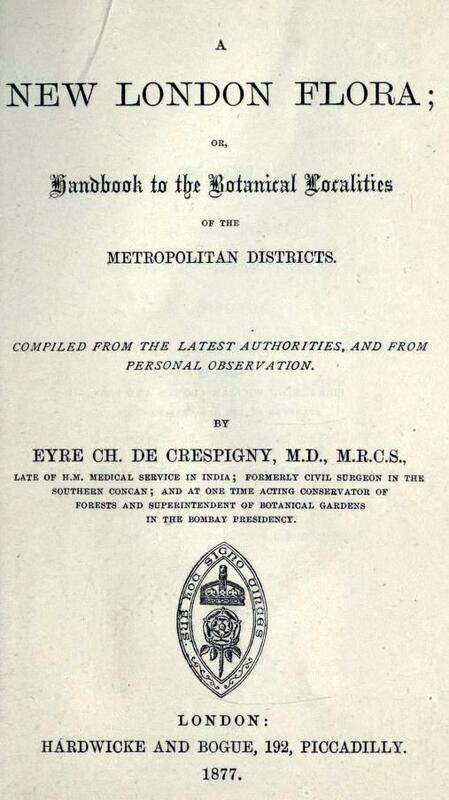 The line of botanists in charge of the Bombay forests was continued by the appointment of Eyre Champion de Crespigny (1821-96). He had reached India in 1845. The posts of Conservator of Forests and Superintendent of the Dapuri Garden were combined in his case. He made a herbarium which is now at Manchester. The Dapuri Botanic Gardens were abandoned in 1865 not long after Eyre departed from India because of his ill health. Eyre continued his enthusiasm for botany after his return to England and was a member of the Botanical Exchange Club, which later became the Botanical Society of the British Isles. In 1877 he published A new London flora. This is a handy little pocket volume, and was reviewed in this Journal (1877, pp. 311-314) by Mr. Reginald Pryor, whose singularly exact mind found a good deal to criticize both as to matter and manner. Eyre de Crespigny died in 1895. After his death his widow donated his herbarium collection and a collection of Indian snake skins to the Manchester Museum. There were 42 skins in the collection. “Eyre” is not a forename used much by the de Crespigny family. In looking at Eyre’s mother’s relations, however, I found that Eyre’s great-uncle on his mother’s side was Sir Eyre Coote (KB (1762-1863) and that Eyre’s mother, Caroline Bathurst, had a cousin called Eyre Tilson Coote (1793-1827). Middleton, Richard. “De Crespigny, Eyre Nicholas Champion (1821 – 1895).” Natural History Biographies. Natstand- Richard Middleton & James R Middleton, 18 Feb. 2016. Web. 10 Apr. 2016. <http://www.natstand.org.uk/time/DeCrespignyECtime.htm>. Fordoński, Krzysztof. “Caroline De Crespigny Translates Maciej Kazimierz Sarbiewski: Forgotten Romantic Poetess as Translator of Neo-Latin Verse.” Grażyna Bystydzieńska and Emma Harris (eds.) From Queen Anne to Queen Victoria. Readings in 18th and 19th Century British Literature and Culture. 4 (2014): 121-30. Academia. Academia.edu. Web. 10 Apr. 2016. <https://www.academia.edu/5120526/Caroline_de_Crespigny_Translates_Maciej_Kazimierz_Sarbiewski_Forgotten_Romantic_Poetess_as_Translator_of_Neo-Latin_Verse>. “The Weird and Wonderful World of Collecting.” Conservation at the Manchester Museum. The Manchester Museum, 18 Apr. 2013. Web. 10 Apr. 2016. <https://conservationmanchester.wordpress.com/2013/04/18/the-weird-and-wonderful-world-of-collecting>. 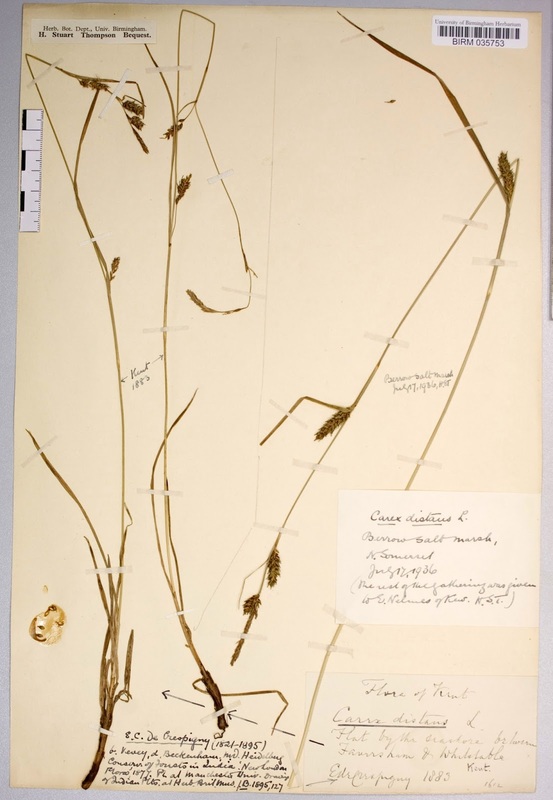 From the Botanical Society of the British Isles the biographical details of Eyre Champion de Crespigny are noted on a Carex distans [Distant sedge] herbarium specimen from Faversham, VC15 East Kent in 1883 by Dr Eyre Champion de Crespigny. “Empress Garden.” Discovered India. Discoveredindia.com, n.d. Web. 10 Apr. 2016. <http://www.discoveredindia.com/maharashtra/attractions/parks-and-gardens/empress-garden.htm>. “The Dapuri Drawings.” Royal Botanic Garden Edinburgh Inverleith House Archive. Royal Botanic Garden Edinburgh, 2002. Web. 10 Apr. 2016. <http://www.rbge.org.uk/the-gardens/edinburgh/inverleith-house/archive/inverleith-house-archive-main-programme/2002/the-dapuri-drawings>.